What are you lookin' at? I'm not afraid of you. Even if you are my elder, ya know", among other obnoxious phrases. 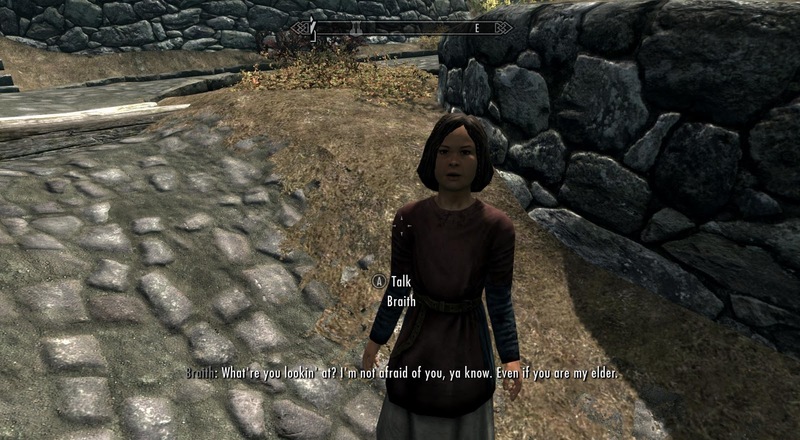 In Skyrim, the developers have disabled child abuse. Since there no way to beat up Braith (or harm any kids for that matter) you'll have to talk to her and convince her to stop beating up Lars. **keep in mind that although child abuse has been disabled, you can still beat your wife! 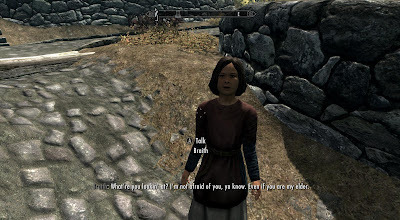 Just attack her or pickpocket her to start fighting. Once you do this it's a fight to till death so save your game before starting any kind of domestic violence!